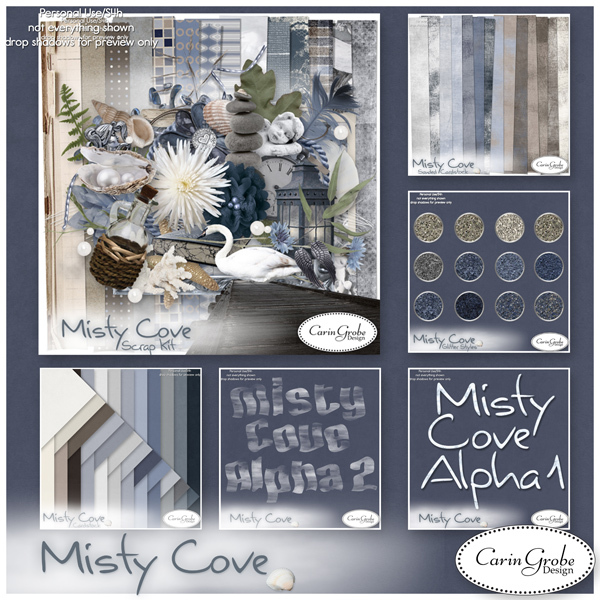 Is Misty Cove on your wishlist? 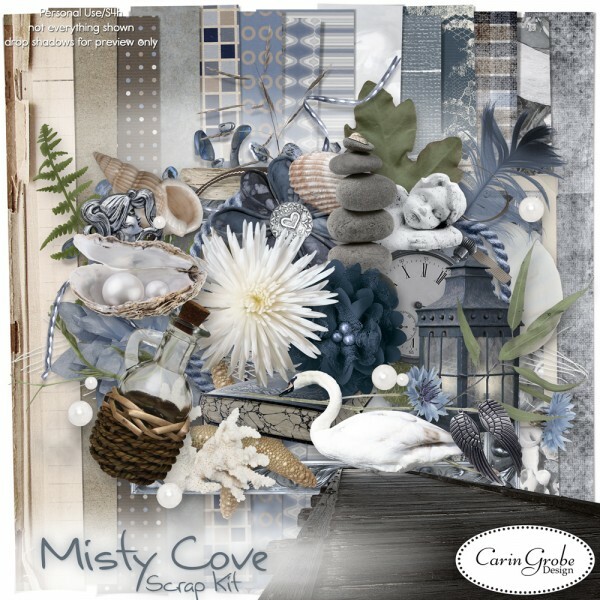 If so you might want to hop over to theStudio and get it today, because it’s today’s Daily Deal, meaning you will save 70 % off the kit, the collection and the sanded cardstock. Whew! “Not every day on the beach is a day full of sunshine and fun in the waves. Not every day in our lives is a day full of laughter and love. Some days are sad, some are lonely, some are full of thought and these are just as important, even so they are admittedly less fun. Here, November is a “time between times”. The Fall festivities are over and Christmas preparations have not started yet. In November we have All Saints, our Memorial Day and similar Holidays. It’s a time to remember, to catch your breath, to think about the past and the future, to make new plans – a time and a place between sadness and optimism; that is the mood I had in mind when designing this kit. Remember – the 70 % off are only valid today, February 17th….